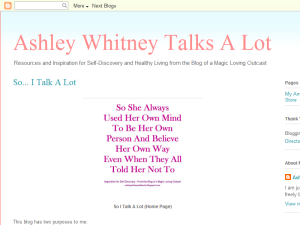 Blog Discription: A New Age Spirituality based personal blog about my journey to self. I talk about what I have been learning and doing as I work to create the exact life I want to live. From my odd point of view, I offer a way for people to discover and buy the tools and resources I have used on my journey so far and hope to inspire them to find the way to make their own dreams come true.